Starbucks is so ubiquitous, the joke goes, that they just opened another Starbucks inside a Starbucks. In many cities around the world, you can't walk a few minutes in any direction without seeing one of these coffee shops. Now the brand is going even further by putting a shop inside a rail car. 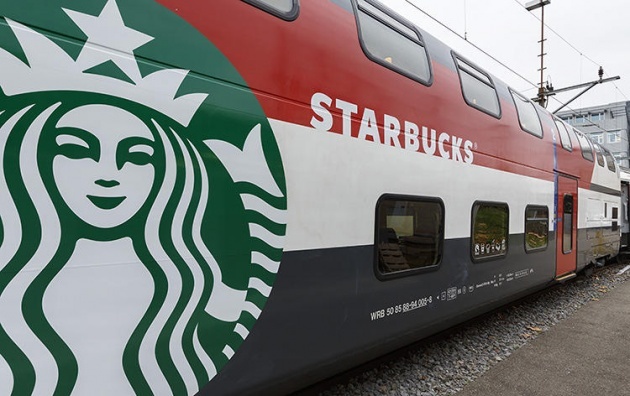 In cooperation with the Swiss train operator SBB, the brand has taken over a double-decker train car that runs from Geneva Airport to St. Gallen, turning into a Starbucks store fitted with carpeted floors, bar stools, wooden tables and comfy club chairs. Increasingly, brands continue to insinuate themselves into our lives. Furthermore, in the never-ending effort to find new sales and marketing opportunities, companies are cooperating with each other in ever more novel ways. As this trend accelerates, we can expect to see more unusual "pop-up" shops and brand tie-ins vying for our attention in creative new ways.